Burley was founded in 1975 as a UK manufacturer of electric fires, branching out into gas appliances in the 1990s and introducing flueless gas fires to the market in 1998. The brand has now become synonymous with quality in the UK heating industry, offering some of the most efficient wood burning stoves, flued gas fires and 100% efficient flueless gas fires. Burley offers a wide range of advanced electric fires in many traditional and contemporary designs. There’s a choice of wall-mounted, semi-inset and inset fitting options; features include virtual flames and log effects, thermostat and remote control. Also offered are fire baskets with real coal and simulated flame flicker effect. At 94.7% efficiency, Surefire is ‘the most efficient flued gas fire in the world’ designed to keep your heating bills and your impact on the environment to a minimum. Burley have been the market leaders for flueless gas fires for many years and are one of the few supplies that offer a full depth fuel bed. Choose from a wide selection of hole-in-the-wall, inset, wall-mounted and stove fires to suit any home and heating requirement. Winning the accolade of ‘the most efficient wood burning stove in the world’ at the Hearth & Home Exhibition 2015, Burley’s wood burning stoves are among the best in the business. The Fireball Range and new Firecube Range have been tested to the extreme to produce a magnificent flame picture, clean burning technology and unparalleled fuel efficiency. Most models come with a multi-fuel option. Wakefords are delighted to be main Burley stockists in Surrey and can provide expert advice on any Burley product to help you choose the best heating solution for your home. Our friendly sales team have in-depth knowledge of all Burley fires and stoves, many of which you will find on display at our Woking showroom. Why not pop in for a visit and discuss your particular requirements with one of our advisers? Rest assured that if we don’t have the exact Burley fire or stove you are after on display or in stock, we can order any model in for you. For further information on Burley as a brand, or any questions you may wish to ask regarding fires, stoves and fireplaces for your home in Surrey and the South East, please get in touch today. 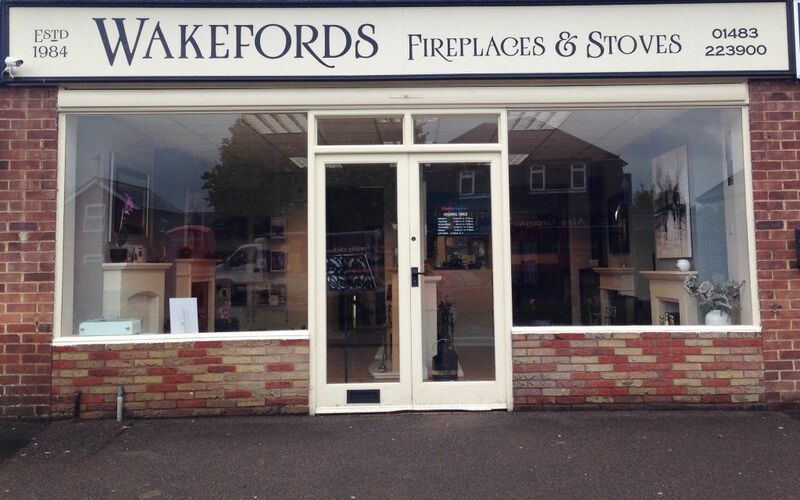 The Wakefords showroom is open every day except Sundays – we look forward to meeting you.